Your Truth is Calling: Connecting the Dots to Self-Awareness is a voyage of discovery – not only about who we are, but how we are and why we are that way. Scott Abel examines different levels of consciousness to help us identify where we are in life, in order to reconnect ourselves to a greater sense of “being” in the world. Scott outlines the emotional, mental and spiritual features of our being. The book uses images and exercises to help you re-connect these often separated aspects of existence, in order to help you enjoy a greater experience of who you are in this world. 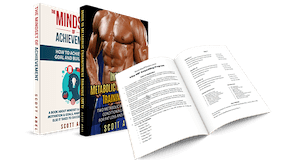 Scott shows you how to understand our strengths, identify and address your weaknesses, and bypass your personal mental or emotional barriers in order to not only function happily, but also to own yourself and your life. Your Truth is Calling is a stirring and penetrating examination on how we can all live better — whatever ‘better’ may mean to each one of us. The provides an outline for personal growth and discovery that does not talk down to people with rhetoric, but engages past, present and — yes — even “New Age” wisdom as learning tools to for answering life’s fundamental questions for ourselves. This book is a must read for anyone who feels a sense of disconnection within themselves or the world around them. If you are searching for meaning or purpose, this book can guide you there. The book is a compass for finding direction to your own life’s purpose.